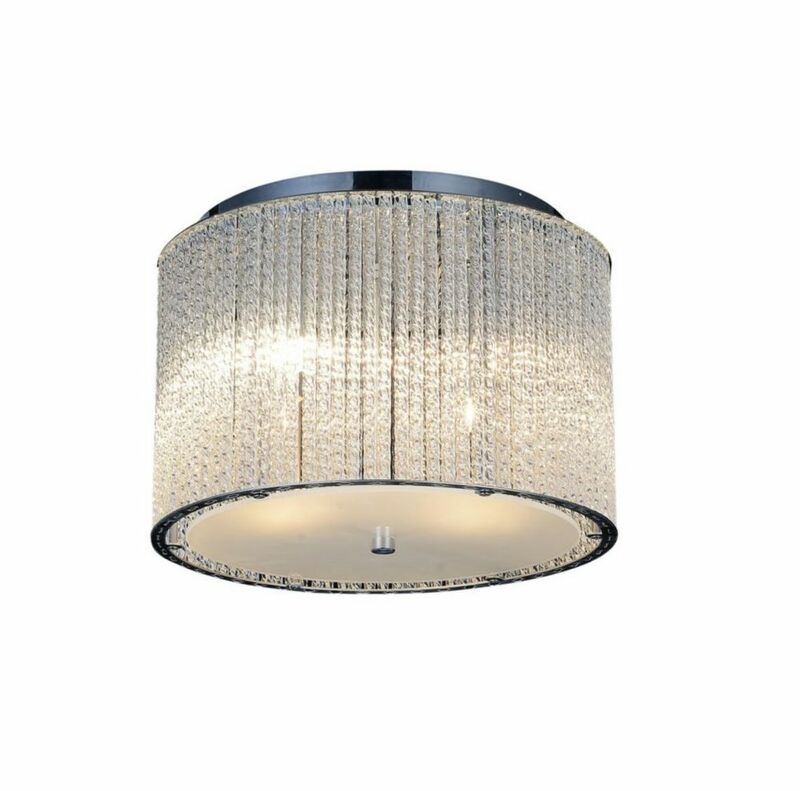 This breathtaking 4 Light Flush Mount with Chrome Finish is a beautiful piece from our Colbert Collection. With its sophisticated beauty and stunning details, it is sure to add the perfect touch to your dicor. The Rise polished chrome contemporary flushmount is a great addition to your entry ways and service areas. This is UL listed to be suitable for dry locations. The E26 bulb base gives you a very broad choice in bulb styles to choose from. The cornerstone of the Burton Collection is quality, and this compact fluorescent lighting flush mount is no exception. Combining a classic desert stone finish and posh styling, you will find no better way to highlight the charm of your home. With the superb craftsmanship and affordable price this fixture is sure to tastefully indulge your extravagant side. Globe Electric's Carolina 11In Chrome Flush Mount Ceiling Light brings a timeless and traditional look to any room. Fully dimmable with a compatible dimmer switch you can create the desired mood for any situation. Ideal for use in basements, bathrooms, bedrooms, dining rooms, entryways, hallways, kitchens, living rooms and more this ceiling light is a perfect way to update your space. Includes all mounting hardware for quick and easy installation and requires 1x E26 Type A 60W bulb (sold separately). Colbert 12-inch 4-Light Flush Mount Light Fixture with Chrome Finish This breathtaking 4 Light Flush Mount with Chrome Finish is a beautiful piece from our Colbert Collection. With its sophisticated beauty and stunning details, it is sure to add the perfect touch to your dicor.